Plain House – Minori wanted to be an interior designer so she applied for a job at “Sunhouse Residence” company. During the welcoming karaoke party she took the initiative and sang a song that the director was good at. As a result she was transferred to the show house, which proved to be also the residence of one interesting guy. Love Trainer – Asami, who hates dishonesty, often causes troubles in the company where she’s working. This time, she gets a client’s director angry, and she receives a letter of transfer for the fourth time. She is appointed to a post in the department of technological development where the elite and honest staff are working. Kayato is her boss and hard trainer. She dislikes him, and wants to go back to the post as a receptionist. 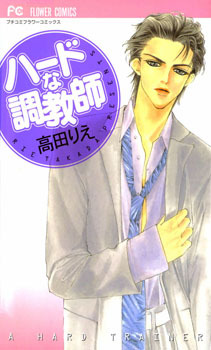 Organic Boys – On the 20th birthday of Yuu-chan her best friends confess to her. Who will she choose? And how will she react? Sakura Falling After 5 – Rika had no time and no personal life. She worked everyday at her office until 5 and then she helped her father with his shop. One day an university student comes to eat at the shop and this is only the beginning.